Civil society and independent voices in Central Asia are increasingly under pressure from the authorities. Repression has intensified over the past five years, against a backdrop of a decline in fundamental freedoms – of expression, association and assembly – and an increase in crackdowns on critical independent voices globally. More and more, they face restrictions imposed in the name of law and order, and their work is stigmatised and criminalised. There is a risk that earlier small gains be lost in Central Asia, with social, political and economic consequences. Repression against civil society and independent voices in Central Asia has intensified over the past five years, against the backdrop of a global decline in fundamental freedoms. Civil society repression in Central Asia has involved mainly targeted harassment, stigmatisation and prosecution of individual independent voices, and increasing administrative and bureaucratic burdens on civil society organisations, including limits on foreign funding. In addition to boosting financial support to individuals and organisations in Central Asia, the EU should devote increased attention to early warning in cases of shrinking civil society space and to crisis response by helping those targeted by repression. This brief provides an overview of the increasing difficulties faced by civil society in Central Asia, from a national, regional and global perspective, including the most common clampdown strategies used by repressive states. It concludes with some recommendations on how to better operationalise the EU’s commitment toward civil society support in the region. In the 1990s, Kazakhstan, Kyrgyzstan, Tajikistan and, to a lesser degree, Uzbekistan, adopted legislation enabling CSOs to develop, operate and receive foreign funding, leading to the creation of a ‘basic’ civil society in the region. But despite a promising start, hopes were short-lived. In Kazakhstan, in the 2000s the pace of openness began to stagnate. In the run-up to the 2010 OSCE chairmanship, the government had promised a series of reforms, none of which were carried out. In 2011, repression began to mount against political opponents, the media and civil society, culminating in the fatal events of December 2011 in Zhanaozen, where peaceful protesters were killed during a police crackdown. In 2015, the Criminal Code was amended, criminalising ‘inciting national discord’. Since then, several cases where this article has been used to curb freedom of expression have been reported: in November 2016, for example, Max Bokayev and Talgat Ayan were sent to five years in prison for organising and participating in the peaceful land reform protest of May 2016. (5) Several recent legislative changes regarding reporting obligations for the non-governmental sector and impromptu checks of NGOs by the authorities, most prominently tax authorities, have further contributed to an atmosphere of fear and uncertainty. Tajikistan’s once diverse civil society is under immense pressure due to legal and arbitrary restrictions. The legislative framework on peaceful assembly is very restrictive and security services prevent as a rule any form of protest. The media has long been under attack. Websites and social media portals are arbitrarily blocked by the government and media outlets tend to practise self-censorship to avoid criminalisation and defamation. The only substantial opposition party, the Islamic Renaissance Party of Tajikistan (IRPT), was banned and listed as a terrorist organisation in 2015, and there have been closed-door trials against dozens of its members. The government is currently considering legislative changes to laws governing non-commercial organisations and the Civil Code, envisaging provisions on the registration of NGOs. The lack of transparency over the process and content of these amendments has further fuelled uncertainty. Turkmenistan has been ranked as a closed country by Freedom House. Civil society has never developed given the very restrictive legal environment. Recent easing of legislation regarding freedom of expression, association and assembly has not brought any practical changes. The few independent individual critical voices in the country are under continuous surveillance and voice their views at the expense of their personal security. Uzbekistan has also been ranked as a closed country by Freedom House. Civil society was by and large dismantled, imprisoned or exiled following the Andijan massacre in 2005. Freedom of assembly, association and expression is strictly controlled by law and, alike in Turkmenistan, the few independent individual critical voices in the country are permanently monitored. However, since President Mirziyoyev took office in 2016, some positive steps have been taken, such as the release of several political prisoners. Uzbekistan has a long way to go. The country needs to set up judicial and parliamentary independence, create a political opposition from scratch, and manage rivalry among political elites. It is still uncertain if and how far reforms will advance given the country’s mighty security apparatus. Since 2005, every year there has been a global decline in fundamental freedoms, according to data from Freedom House’s Freedom in the World Index. Over a hundred governments have adopted laws restricting civil society operations. (7) The values and principles of the international liberal democratic order built after the Second World War have been the cornerstone of the EU’s democracy promotion towards the post-communist states in Central and Eastern Europe and beyond. However, these values and principles are now being challenged in several EU member states (as well as in the United States) that prospered from post-Second World War and post-communist liberal democracy. The Eurasian region (together with the Middle East and North Africa) ranks lowest in terms of civil and political freedoms. Internal trends within the Eurasian region, such as those set by Russia (restrictions on basic freedoms, criminalisation of LGBTI ‘propaganda’, etc.) have helped to accelerate freedom decline in Central Asia. Despite aspirations to remain independent, Central Asian countries have not yet managed to breakaway from their Soviet past. 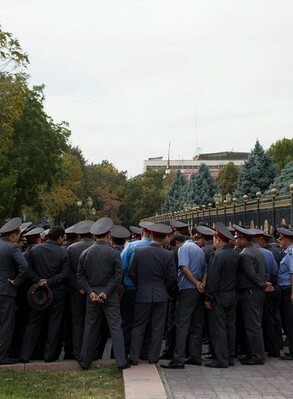 Central Asian political leaderships have proactively ‘imported’ or adopted repressive methods to crackdown on dissent. Over the years, several countries of the region have adopted restrictive measures and practices inspired by Russia. The new Central Asian countries are extremely vulnerable to such global and regional downward trends. The seeds of democracy planted in the 1990s have never really come to fruition, and Central Asia can only boast of ‘democracies on paper’. All necessary institutions (parliament, courts) are operational, all mechanisms (elections) have been installed, and checks and balances and the division of powers are taken up in legislation. However, governments are not accountable, and parliaments and judiciaries are far from independent. The transition had barely started in the newly-independent countries before political and economic elites managed to strengthen their grip on power; the Russian governance model and the broader global anti-liberal trend are ammunition for their efforts to control their countries and societies. The closing of the civil society space has not happened overnight. 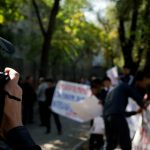 Throughout Central Asia, but also in other parts of Eurasia such as Russia and Azerbaijan, governments have followed a similar crackdown pattern: first, political parties; second, independent media; and third, civil society. Throughout the region, opposing political voices have been judicially persecuted, denied registration or forced into exile. Today, four of the five Central Asian countries have no political opposition. Only Kyrgyzstan has a plural political landscape; the country’s recent 15 October elections were held in a competitive and peaceful manner said international observers, even though there were concerns over the misuse of public resources, pressure and vote buying. 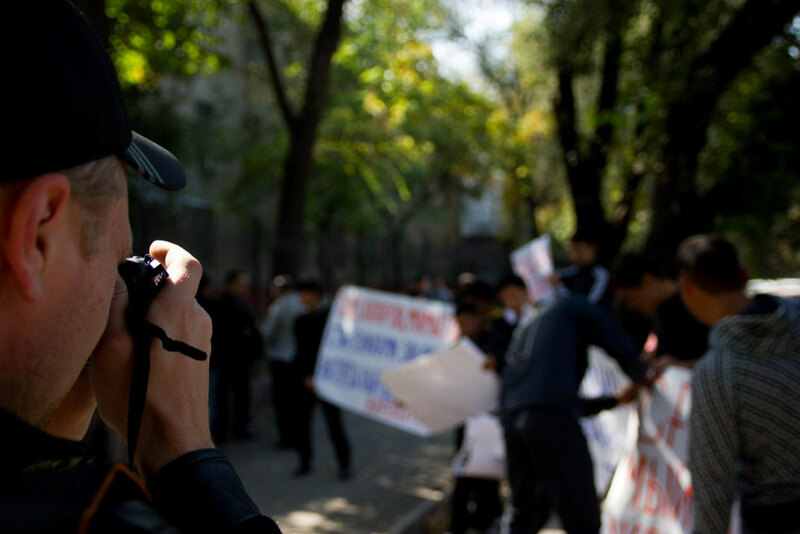 Next, Central Asian governments have targeted independent media. While there was never complete media freedom, there was some space for independent media in Central Asia. Nowadays, independent outlets are controlled, self-censored or shut down, while disinformation and anti-Western narratives are on the rise. Lastly, governments have pushed civil society into a corner. Civil society repression has been ‘administered’ in two distinct ways. For one, targeted and disproportional harassment, stigmatisation and prosecution of individuals (human rights activists, journalists, bloggers). There are well-documented cases of individuals who have been criminally prosecuted for expressing their views on social media, for exercising their right to peaceful assembly or for exposing corrupt government practices. Other methods include smear campaigns, especially against individuals working in the field of human rights or democracy promotion; and financial fines for allegedly defaming public figures, as libel is still criminalised across Central Asia, which many NGOs cannot afford to pay. For another, governments increase administrative and bureaucratic burdens on organisations, such as excessive registration and reporting obligations, and limits on foreign funding. These methods have become more commonplace in the past few years. Tax, administrative and criminal codes are now used to clamp down on NGOs. The authorities tend to start with impromptu checks and monitoring from various agencies, including Tax Authorities and Security Services, who pay unannounced visits to organisations. While sometimes this serves only as a ‘warning’ to cause intimidation, often criminal or administrative cases are actually opened against NGOs. The EU has recently stepped up its support to civil society globally and in Central Asia. The EIDHR has new components that are more adapted to the current challenges faced by civil society. These include long-term assistance as well as immediate crisis response; some are aimed at protecting individuals while others are aimed at organisational sustainability. For example, in 2015 the EU funded a consortium of 12 NGOs that focused on the protection of human rights defenders globally (ProtectDefenders.Eu). The mechanism provides quick response to human rights defenders’ needs, ranging from personal security to relocation to third countries, including their families. At the same time, the mechanism provides support to strengthen the capacities of human rights organisations in the field. Meanwhile the European Endowment for Democracy (EED), established in 2012 initially to cover the European neighbourhood East and South, has broadened its mandate to cover Russia and Central Asia as well. Boosting financial support to individuals and organisations in Central Asia should be prioritised. Under the most recent EIDHR country based support schemes, civil society received €600.000 in Kazakhstan in 2016, €1.6 million in Kyrgyzstan in 2017, and €2 million in Tajikistan in 2016. But it is equally important that the EU remains flexible when disbursing funds, due to the quickly changing situation on the ground. In addition, it is important that financial support be backed-up by political support. This means that civil society issues must be regularly and consistently raised with the pertinent authorities on a political level, during the annual political dialogues, by the EU Special Representative for Central Asia, and other venues where EU and Central Asian officials meet. By Sunrise Odyssey under Creative Commons LicenseThese instruments and practices are designed for crisis response, where space for independent and critical voices is becoming limited. However, more can be done by investing in preventive measures to avoid further backsliding in countries where there is still some space to work. The creation of a mechanism to enable the EU to detect early signs of shrinking civil society space (early warning) and to act preventively, employing both practical and political engagement, would complement already existing instruments. Early signs to watch out for include the side-lining of political opponents and an increasingly controlled or censored media. Surveillance and censorship of civil society is common under such circumstances. Early identification of such signs will enable the EU to act in time. In practical terms, one component of early warning could be the creation of coordination mechanisms among international organisations on the ground(similartodonorcoordination) for information sharing. Plus, the EU delegation and member state embassies on the ground regularly meet with civil society to gather insights on actual risks: political support should be rendered to these groups. At the same time, ‘hot lines’ could be created so that human rights defenders and civil society organisations could call on international assistance when at risk of persecution. In relation to crisis response, the EU and its member states should ensure that civil society representatives who are under government surveillance have valid long-term and multi-entry Schengen visas, to be able to leave the country immediately if severe risk arises. 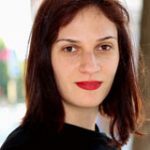 In political terms, early warning could entail public statements from the EU on crackdowns in addition to the political processes and dialogue that the EU has with respective governments (including the regular Human Rights Dialogues that the EU has with all five Central Asian states). Crises response could entail assistance to individuals who operate in hostile environments and continue working on human rights issues, including documenting human rights violations, at the expense of their personal security. In its 2015 Global Strategy, the EU stressed that ‘it is in the interest of our citizens to invest in the resilience of states and societies to the east stretching into Central Asia […]’, while outlining that ‘repressive states are inherently fragile in the long term’. Taking into account the severe shortcomings in governance, democracy and human rights protection in Central Asia, it is vital that while pursuing state and societal resilience in this region, the EU does not support the further consolidation of repressive regimes. In helping to foster resilience, the EU should support civil societies as a central part of its approach. The space for civil society in Central Asia will remain restrictive overall for the foreseeable future. Small gains – possibly in Uzbekistan and hopefully soon in neighbouring countries – should be welcomed and rewarded. Where civil society is cornered, the EU should speak out, and where there are possibilities to break out of the corner, the EU should offer generous support. To do this well, the EU will need to lead by example – this means nurturing democracy at home and making sure all European democracies remain vibrant and open. Kristi Raik, ‘Promoting Democracy through Civil Society: How to Step up the EU’s Policy towards the Eastern Neighbourhood’, Centre for European Policy Studies, February 2006.